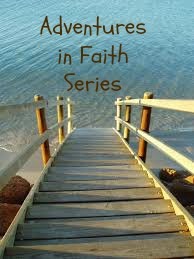 Adventures in Faith: Bench, Floor, or Field? When have you felt like you had to sit on the sidelines, and what was your response? When have you been in the middle of an exciting game, part of a healthy team? Where would you rather be, on the bench or the floor? Why? There’s a difference between the players on the bench and those on the floor…but they’re all part of the team, and each and every person plays an important part. At least, God intends for them to play an important part. They can choose not to fulfill that important part by pouting or getting defensive. They can feel they were wronged or that they’re under-appreciated. Just as we can in the body of Christ. God gives spiritual gifts to each person who believes in Him. He didn’t leave anyone out, including you. The problem is usually in discerning what our gifts are and how to use them. We get confused about our gifts and respond to how we think we’re supposed to use them or how we’re insufficiently using them when we’re actually misunderstanding or under-appreciating what we have and what we’re doing. For example, we sometimes assume our spiritual gifts are something we’re passionate about doing. I’m confident God fans the flame of passion in us, but what if we’re not ultra-excited about something: does that mean we’re not gifted for it? What if that just means we’re being stubborn and not accepting God’s will? If I’m gifted to teach, will I be excited about teaching every moment of my life? I may be gifted in advising others, but will I whole-heartedly want to always listen to people whine and complain? Probably not! We’re human, and we need to not base our gifts and the use of our gifts on our emotions and experiences. Whether we’re on the bench or the floor, we need to give teamwork our all. All of our gifts work together, and each of us is essential to the fully-functioning body of Christ. You’re human. You’re going to doubt yourself. But don’t doubt God. When you question your giftedness, you question God’s ability and wisdom. He knows what He’s doing. No exceptions. God expects you to use your gifts for His glory. Your gifts are yours to use, but you’re not the source. God is. He gave you the gifts. He knows exactly where you fit. Let God settle you into your gifts as He settles His gifts into you. Work together today. Invite someone into your life, and serve. Accept someone else’s invitation for you to serve. Don’t insist on doing it your way. Do it God’s way. Posted on November 28, 2014 October 6, 2014 by SusanHLawrencePosted in Adventures in FaithTagged accountability, adventure, daily challenge, daily devotional, daily reading, discipline, faith, friendships, mentoring, reflection questions, training, womens ministry.